Our state of the art equipment ensures that all our customers receive the quality they deserve at a fraction of the replacement cost. 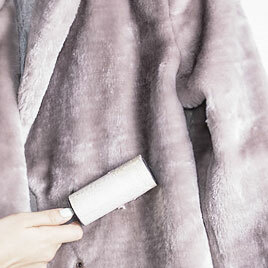 Cleaning furs, leathers, and suedes to protect our customer's investment in their garments is one of our top concerns. We take precautions and use special processes to deliver optimum cleaning that virtually eliminates shrinkage, loss of color and fabric distortion. 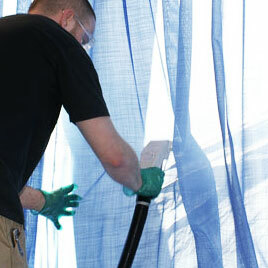 Our cleaning and finishing process can brighten colors and restore textures for any window treatment. We guarantee drapes will not shrink or lose their shape, and we offer a convenient take down and re-hang service. 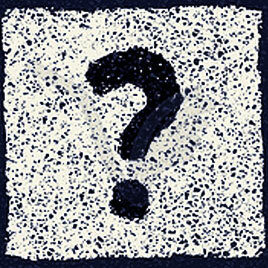 Can you eliminate strong odors such as Mold and Smoke from Clothes? We can work directly with the customer or your insurance agent so you don't have to. We use several methods to process our restoration projects to ensure the best quality, repeating our restoration processes in order to meet our high standards. Our guarantee is simple: If the garment doesn't clean, it's off the bill...regardless of how much time and effort we have spent trying to restore it. 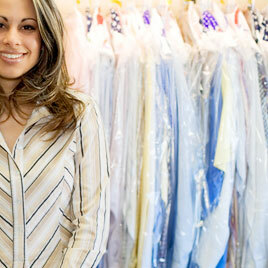 DryCleanNY team specializes in dry cleaning and laundry services for victims of disasters. Our team is dedicated to restoring any and all personal items if possible; helping to reclaim what you thought was lost. By working to restore your belongings, we afford you the extra time you need. DryCleanNY team is dedicated to quality customer service, providing you and your family with peace of mind during this difficult time.